Our story of origins is highlighted in the 2010 documentary film, Man Up and Go. (You may watch it for free with your Amazon Prime membership.) Over 30 men from all over the U.S. banded together for a common purpose – to love big on the orphans of the developing world, even if just for a day. To hold and to hug those children without a father. To show women the healthy touch of a man. To be an example to those who grew up without one of what it means to be a loving father. It was never meant to be anything more than a one-time trip, but instead, it turned into a movement. I found myself lying in bed shaking from the fear of death in Addis Ababa, Ethiopia. Not my own death, but of my brand new daughter. I had already been down this path before; not once, but twice. A daddy losing a little child definitely has a lasting sting. After having our first son, Michael, Kari and I had to face one of the worst experiences of our lives: the loss of our second child. Soon after that, we were blessed with our beautiful daughter, Hannah. However, the haunting feeling of losing a child never ceased, and I was not up for another test of faith. After 48-hours of constantly nurturing Zoie Senait, being rejected by four hospitals, and hearing nothing more than “Good luck. I hope she makes it” from the doctor who finally saw us (as if she was trying out for the junior high cheerleading squad), we finally made it back to the hotel where we put Zoie down to sleep. I crashed on the bed and tried to go to sleep, but my mind was racing to figure out how to escape from my daughter’s death. (I know… it’s pathetic.) I felt guilty that I was even thinking such thoughts. I just couldn’t face the possibility of it. What I was trying to avoid was the pain of failure. How could a real father allow a little girl to die? How could a real father not provide the things that she needs to have a GREAT life? I had only been her daddy for two days, and I was scared out of my mind! Kari could sense my anxiety, so she encouraged me to pick up the phone and call the person who always seems to have the right answers: my dad. Hearing his voice is always calming, and his words are filled with wisdom. Even though it was in the middle of the night back home, I needed my dad, so I made the call. 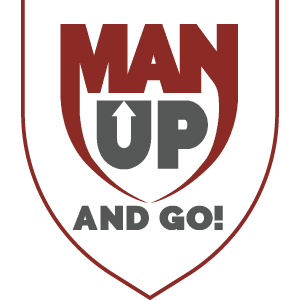 Man Up is really about doing what we (men) were made to do: lead, protect, and love. I’m often reminded of the parable of the Good Samaritan when thinking about Man Up. Lying right in the middle of the path is a beaten, unconscious, and naked man, who has just been robbed of everything. The first two dudes to walk by actually sidestep the problem as though it doesn’t exist. These were the guys who would have been the most qualified to “fix” the problem, but chose not to. The third guy was the least expected to Man Up and help the broken. Yet, Christ used that Samaritan to demonstrate what it means to Simply Love. That dreaded, embarrassing meltdown I had in Ethiopia is forever etched into my memory as me being one of those “qualified” wimpy dudes. Not wanting to be inconvenienced or faced with another possible sting. I’m so thankful for my dad speaking truth to me. The rest is history. Zoie is now a healthy, beautiful girl that I could never imagine life without. Since that time, I’ve learned a lot about what it means to Man Up for the Fatherless. Men, they need us. They need to experience authentic love from a man. They need to feel the healthy touch from a man. They need to see a smile from a man. They need to experience the blessing from a man. They need you. Man Up and Go. Since those early days God has moved mightily in the hearts of men and women everywhere to fight for the fatherless. See where we’re at today.